Carmel Mogg with her grandsons. Family culture, religion and history are disappearing fast, as Victorians fail to pass on precious family stories and facts to new generations, research shows. study by the State Trustees has found. 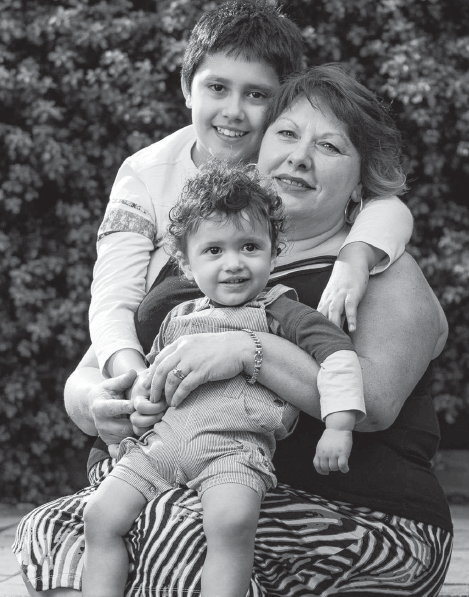 From the survey of 1000 Victorians, those from Gippsland are most likely to spend time with grandparents and share stories. The research shows three quarters of people are unaware of family tales and more than half (56 per cent) are unable to identify even basic aspects of their grandparents’ lives, such as where they grew up, what religion they were and what work they did. Research was part of a long-term campaign to encourage Victorians to learn the stories of their loved ones, so that history doesn’t stop when someone dies. We believe that rediscovering cherished things and sharing the stories behind them is a process that will allow families to reconnect with their heritage and help them foster a deeper sense of understanding as to who they really are and the values they stand for. 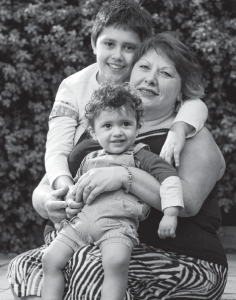 Blackburn North hairdresser Carmel Mogg, from Jace Hair Studio, said she was passionate about sharing family stories with grandsons Adriano, 8, and Alessio, 1. “My family had to leave their country to come to Australia and we lost contact with our grandparents as kids,” Ms Mogg said. “Family is everything,’’ she said, cuddling the boys.